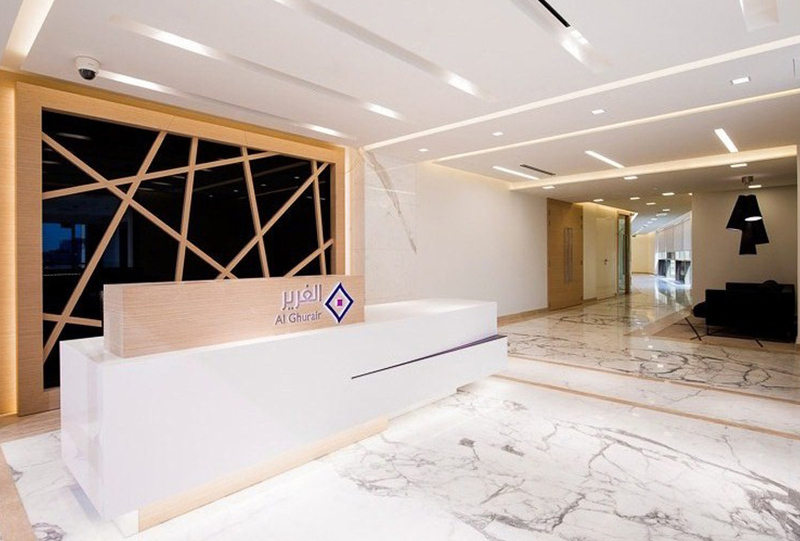 We are thrilled to announce the recent completion of AED10 million interior fit-out of Al Ghurair Investment’s new flagship office in Dubai. Completed in just 12 weeks, it is another great example of our commitment to delivering our projects on time and on budget, working alongside leading global architect, Gensler, to fulfil our clients’ requirements. With a mandate to help create a culture within the Al Ghurair business and communicate the brand through the execution of the office space, the Summertown team custom-built a large amount of the furniture used. The level of detail and quality of work achieved is thanks to the expertise of our projects team, who applied alternative fit-out solutions to special features of the build to keep the project within the specified budget without compromising the original design. The office occupies 2,400sqm and features a number of open-plan workstation areas, eight conference rooms all fitted with high-tech audio visual technology and several individually designed executive offices for the company’s top management team. Click to read more and see our gallery of project images.